An insightful piece from a fellow blogger. I just adore Japanese culture. PLEASE MAKE SURE TO CHECK OUT Toshidama’s blog, THE ORIGINAL BLOGGER’S POSTS. They were kind enough to let me share this wonderful article with you. Sounds like a relative of the European Melusine, who also has the body of a serpent, though in this case from the waist down rather than the head down. A quick check of references also shows that this character also is always associated with water in European lore and often is understood as a “nixie” or water spirit.. They are very similar! It’s interesting how certain monsters are universal. I read a cool book once–can’t remember the title–about how most monsters are some form of chimera, merging humans with animal parts. That would account for a universal snake woman, but that both the Melusine and the Nure Onago are water creaters is even more interesting. How do these Yokai come to be? Are they drowned women? Or like the Llorona (Wailing Woman) of Spanish countries they are woman who killed themselves and their children. They don’t really “come to be.” Most yokai are always yokai. There are some humans that transform into yokai, but that is rare. I could swear this is reminiscent – but not identical – to a story of a Japanese ghost or yokai I had heard of before, but cannot find now. I wonder if it will ring a bell if I describe it? The conceit is that it was or would portray itself as a beautiful woman, perhaps in need of help, who would lure unsuspecting victims to their death by drowning, typically in a river. Presumably either it’s just plain cruel, or she herself had drowned and never been put to proper rest and was lashing out because of that. Either way, it is a bit similar to western legends of the Kelpie or maybe a variant on the Siren I guess, but it wasn’t so much that it mesmerized the victim like the latter, and more that it simply convincingly tricked them – possibly with shapeshifting, more like the Kelpie. I’d compare it to a shapeshifting kitsune since they often took the form of a pretty woman to trick people, but the Kelpie seems a more apt comparison, because of the specificity of “luring them to their death by drowning”. 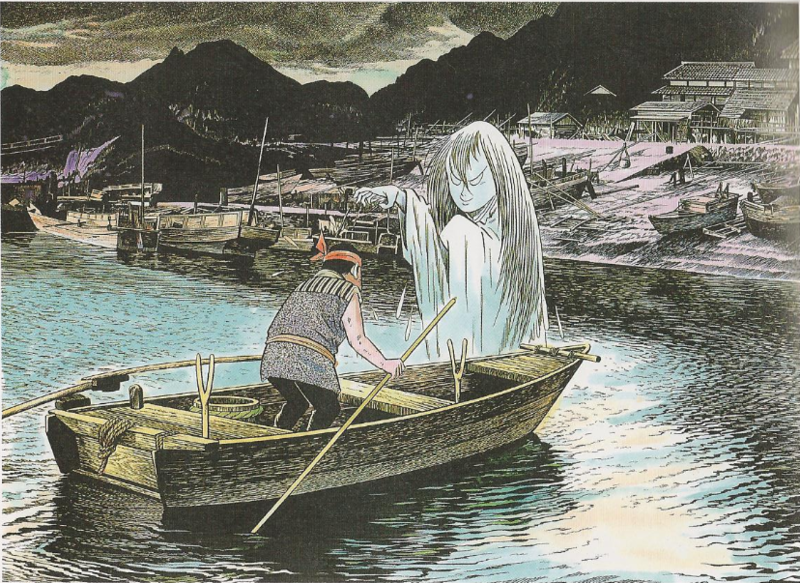 It’s not terribly dissimilar from the funa-yurei, in that it is probably an onryo, and it tries to drown a victim, but it had nothing to do with boats and wasn’t to the best of my knowledge, often related to the sea: it was people on foot that it lured in, and again, usually in a river. 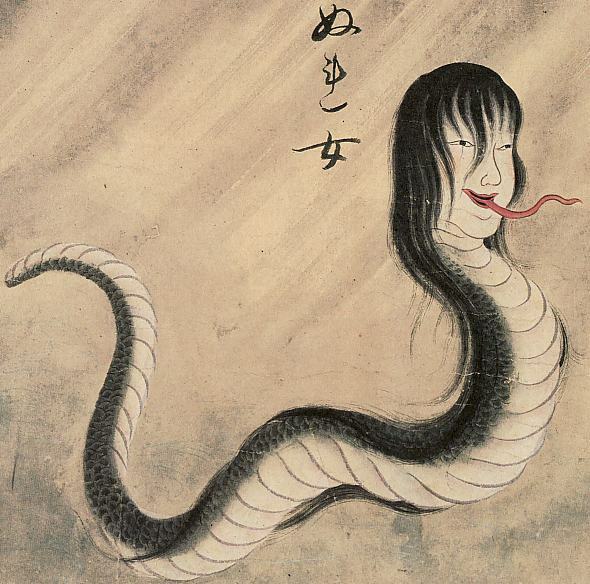 There’s also the fact that it was in particular a woman or a lovely woman, which the funa-yurei stories aren’t nearly so specific on; additionally, this story that I recall related that of a single entity, not a swarm, which is what I gather the funa-yurei are usually portrayed as. It is actually driving me a little nuts, because I could SWEAR I read this somewhere, but I can’t find the exact story anywhere tonight so far and have to give up due to needing some sleep. I don’t know if my mind is mixing different stories together (I’m ADHD so it’s not impossible), or…if it’s just an obscure sort of story that I’m not finding the right words to search for it with. But I feel convinced at this point that it was a story I had read somewhere, that had those basic details, and was supposed to be a Japanese story, and an older (folklore-type) story at that. Any help would be appreciated! That sounds like one of the variations of the Nure Onna / Nure Onago legends. 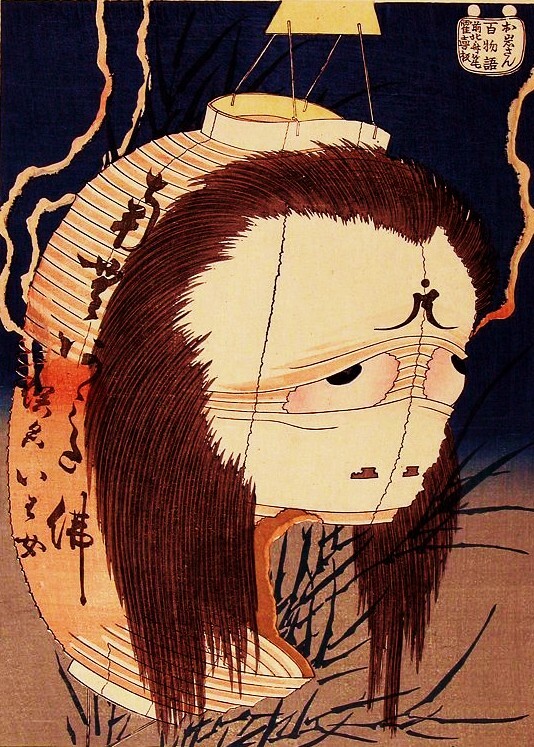 There are many different takes on these, and the “soaked woman” is a common motif, often mixed with other monsters like the funa yurei or the ubume. Yokai are more flexible than most people think. The stories change over the years, and merge with each other. Check out this story, which features an ubume legend and a river crossing. She would hand people her baby asking for help, but the baby would then get heavier and heavier until it drowned them in the river. The Nure Onago? Nooo … definitely not. She is always be a beach or river.